Social video is one of the most rapidly evolving areas of content in the modern media landscape. Social media platforms like YouTube, Instagram, Snapchat, and Facebook are redefining the traditional home movie. Social video is defined as any digital video that is produced to be seen, shared, and enjoyed through social media. From novel football advertisements to live iPhone footage posted to Snapchat, this is all social video. However, social video is not to be confused with viral video. The key difference to note here is that social videos may not attract millions of views. But that’s the point! Social videos are all about share-ability amongst your target market. So make the content appealing to the right people first! Right now, video performance on social media is doing exceptionally well. So much so that over 60% of marketers are looking to increase investments in this medium over 2017. But what are the true benefits of using video to promote your business? Facebook is dominating the video space right now. It was recently rated as the most impactful social media channel. Thanks to the introduction of their latest feature, Facebook Live Videos, Facebook has quickly become the primary platform for small business owners. The platform’s ease of use and share-ability factors make Facebook a powerful channel. Ranked as a very strong silver medalist, YouTube is the second largest search engine after Google. It is also the second most popular social platform after Facebook. Not only are businesses and marketers using the platform to upload their own content, they are using it as a paid advertising source too. 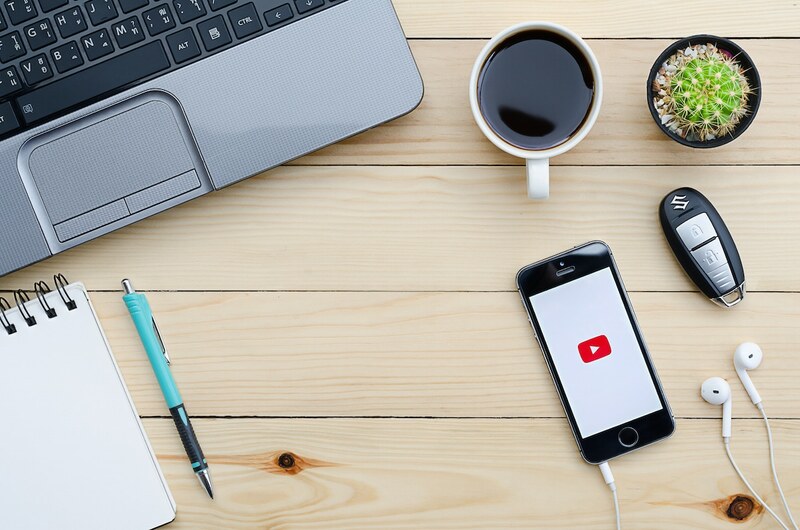 Over the next 12 months it is estimated that YouTube’s paid video and advertising offerings will be projected to see the most significant growth. For a platform that is only designed for use via mobile, Instagram is a strong social channel. The content featured on Instagram is highly impactful, and visually appealing. Many marketers are jumping at the chance to be creative in this space; from short Boomerang clips to GIFs, organic videos, and quality productions. When it comes to measurement tools for your digital efforts, the numbers can become a little confusing. Did you know that Facebook and YouTube are the top two platforms rated the best for generating and collating valuable data and analytics? It’s not surprising, as Facebook and Google (Google owns YouTube) are the two largest players in the social space. If they know one thing, it’s how to capture data! “Social video is creative that works, not just pretty moving pictures”. Humans are very visual creatures, so it’s no surprise that many businesses across all industries are taking advantage of social video. It is a unique medium, able to connect with viewers (not just distract them). Social video is ‘creative’ that actually works, forming memorable connections with audiences. With a bit of practice and some creative direction, you too can drive your business with an engaging social video offering. Need a spark to get those creative juices flowing? Download Chilli’s FREE Creative Guide eBook. If you’re already using social media but need a ‘boost’, check out our blog, Your Guide to Social Media Advertising.